More information including articles, old photos, parish maps etc can be found by clicking this link - Neasham Photo Archive. 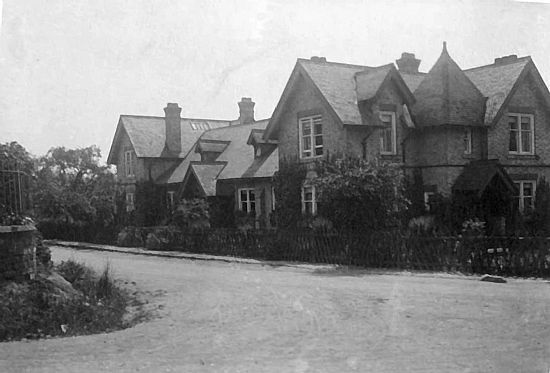 The Reading Room was built in 1902 by Sir Thomas Wrightson, owner of Neasham Hall on Sockburn Lane as a meeting room for his estate workers and newspapers were provided for reading. It replaced a chaotic site of old cottages and pigsties and was built with two front doors because if it was found that a Reading Room was not necessary, it could be converted to two estate houses. However, It has been used continually since by the villagers, except during the First World War when it was commandeered by the army. The County Branch Library was house here until 1952. The Wrightson family generously donated the Reading Rooms to the village in 1955 to be run by a committee, and it has been run as a village hall up to the present day. The village of Neasham lies along a bend of the River Tees on the County Durham side of the River, about four miles south of Darlington. The settlement was established more than 1000 years ago and is steeped in history. The High Ford, crossing the river between Eryholme and Neasham was part of the Great Road North. Neasham, being the first village on the north side of the river, was the gateway to the Land of the Prince Bishops. Each newly appointed Bishop of Durham was met at the ford in the middle of the Tees, where County Durham officially begins, and presented with the Falchion by the Lord of Sockburn Manor. The Falchion in this inaugural ceremony had been used by the returned crusader Sir John Conyers, who slew the famous Sockburn Worm. A popular village tale of the name “Neasham” is that a certain lady in the olden days wanted to use the ford without trailing her gown in the water, so she gathered up her skirts above her knees and waded across, merely remarking to scandalised onlookers, “It's nea sham.” This retort became so notorious that it served as a name to identify the ford - “Nea Sham Ford” - and so was applied to the village. However, the earliest known spellings of the name are “Nesham” in the Taxatio Eccelesiastica of 1291 and “Neseham” in the survey of the Palatinate that took place from 1345 to 1382. Due to its location on the River Tees, Neasham has been flooded many times. The worst flood on record is that on 18 November 1771, when there were floods all over the North of England and many bridges were swept away. In Yarm, the main street was flooded to a depth of 12 feet. The villagers of Neasham fled to the highest point of the village and it was written “it drowned almost entirely all the village of Neasham, having destroyed every house except one to which all the people resorted and by good luck saved their lives, though with the loss of all their cattle and stacks of hay and corn”. Having been built in 1757, it is likely that Neasham Hill House is the place where the villagers found safety. The houses at that time had been plaster and timber-built, with reed­ thatched roofs. The villagers then built new cottages using local materials; cobbles from the river-bed to make their walls thick and sturdy, cemented and plastered with a mixture that included river-sand. The irregularity of these home-made walls, composed of stones of every kind from flinty pebbles to soft red sandstone, was hidden either by a coat of rough-casting. or by a facing of neat little Neasham bricks. Thus “modern” Neasham emerged, for most of the cottages were built in the fifty years following the flood and a number still remain in the year 2000. The Pump House is worthy of mention. It is a symbol of the village and much photographed. A pump was erected in 1879 by Mr Chapman Ward of Neasham Hill for the use of the villagers. It was surmounted by a bronze replica of the Sockburn Worm, its tail forming the pump handle, and although the pump was removed in 1911 the shelter that housed it is still known as the Pump House and has been restored by the Parish Council.